Full colour print on 510gsm PVC. 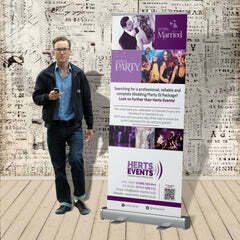 Ideal for advertising, exhibitions and corporate events. 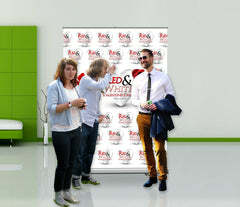 Suitable for both indoor and outdoor use, they are sure to make your promotion a success. 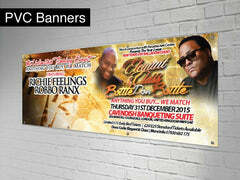 Each banner is finished to your personal requirements, with hemming and eyelets available if required.